Bulk Image Link Spam Going Un-detected? 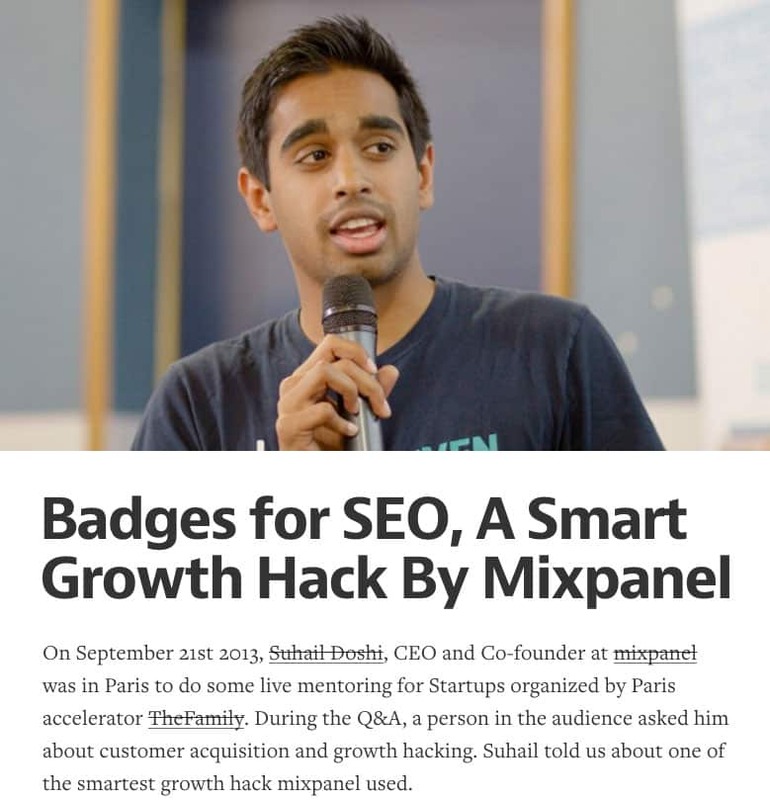 I was asked earlier whether using badges for building links is a good idea. Its certainly not a new concept, enterprising SEO’s (myself included) had used this technique, or variants of it, for years. In the spirit of full disclosure, I also talked extensively about this practice and my experiments in avoiding penalties by rapidly varying anchor texts, but that was a long time ago. Most SEO’s adapted away from this technique years ago, as soon as Google started clamping down on the practice, quite rightly, as it was the very essence of manipulative spam. 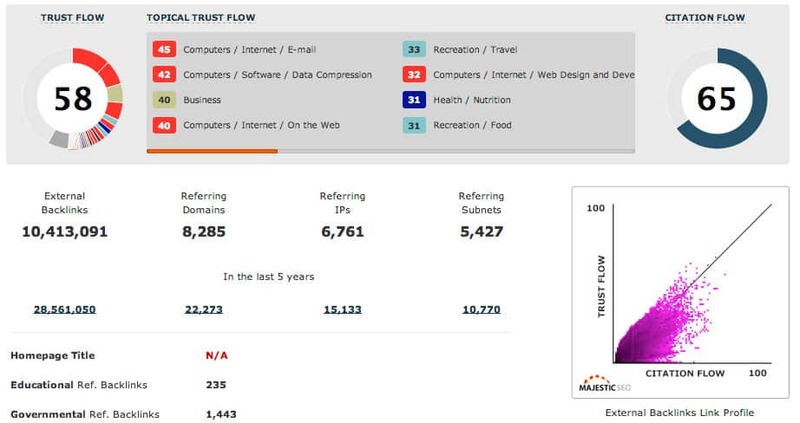 At their pricing tier one, the value of those 175,000 free data points for linking to their website, using their badge, is equivalent to $52.50 per month in free usage. Not a bad deal all things considered for including a snippet of html code in the footer of your website. Below you can see the code snippet they require for the free monthly credit, and no mention of a nofollow attribute. There’s also no commercial anchor text as such – although there is an image alt tag (we’ll get to this later). How Popular has the Free Credit for Links Been? In a word – ‘very’. The mixpanel domain currently has a little over 10,000,000 links from over 8,000 domains pointing at it, as measured by MajesticSEO. For reference, an SEO Visibility score that peaked at 3,000 isn’t really that high, however there are some other pretty obvious SEO flaws in the website, starting with the basics there is no robots.txt file on the website and that’s typically the mark of a site with zero focus on organic search. But – and this is where it does get interesting, the site is 2nd (yes, SECOND) for its primary keyword of Mobile Analytics. The very one that’s being targeted by the alt text in the image embed they’re pushing on webmasters for fifty bucks a month. Where do Sequoia & Y Combinator Come Into the Story? Mixpanel has received funding from both of the above funds – they are listed on their website on the about page, under “investors”. This is only relevant as Sequoia were one of the original funds for Google, and Y Combinator also has documented links with several early google staff. This is only really annoying on the basis that when you come from a stable where Google themselves are the thoroughbred – you really, really should know better than to blatantly spam links to achieve rankings. Just to add to the comedy value, Paul Buchheit is listed by Y Combinator as a partner, and he is also credited as the very person who came up with the slogan “Don’t be Evil”. So Have the Funds Protected Mixpanel? I wouldn’t for a second insinuate that by being funded by VC’s with documented, direct links with Google have protected them from a link spam penalty – there is zero evidence to support that theory, which is frankly a bit tin-foil hat style – the article title is purely intended to be satire. That being said though, one of the primary advantages of being in the Y Combinator, Sequoia, Andreessen Horowitz club is being able to get advice from those that have been there and done it themselves. This kind of advice and support is designed to make their startups successful. It is entirely possible that they (Mixpanel) HAVE been advised not to engage in this spam technique and have chosen to ignore the advice. All things considered though, when you keep that kind of corporate company, you should probably take steps to avoid spamming. 2) it would appear that Google is less likely to apply keyword level penalties on image alt text links. I think the big win for them with this tactic is the sheer amount of referral traffic they get that could easily drive more business than Google as the organic search volumes around some of these analytics terms are actually not as high as you think based on past experience. It aint SEO, it’s growth hacking! That’s entirely different! 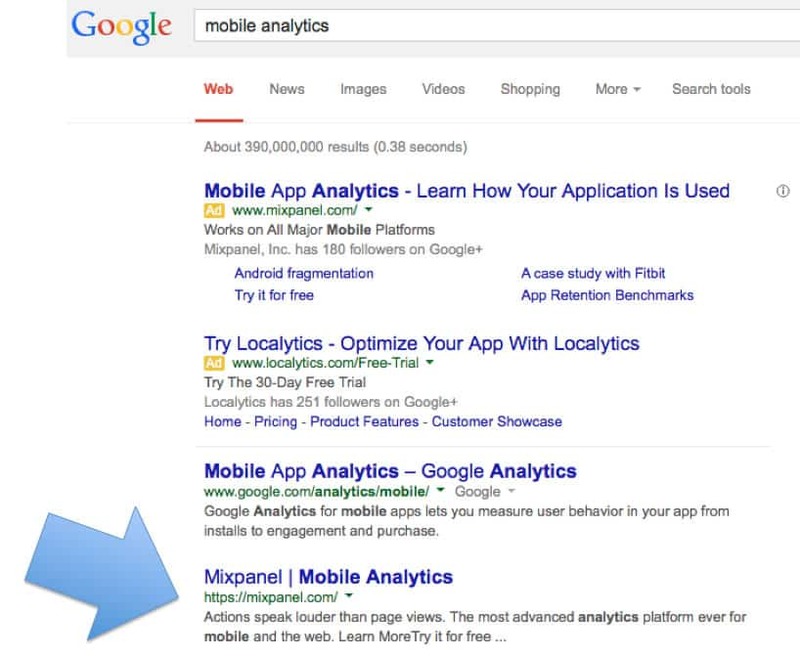 Growth hacks don’t get Google penalties, only those dirty sneaky SEOs get penalised. Just noticed in the screenshot you put, they’re linking to https://mixpanel.com/f/partner which in turn redirects to their home page. I guess they’re doing that to also track how much traffic they’re getting from these badges, which in my estimation will be huge and as David rightly commented above, will drive quite a bit of traffic and business. It’s easy enough for Google to detect the pattern out here and given the way Google has been ever ready to penalize sites, I wonder if they will continue to rank as well as they do. Once the “webspam” team realizes that these links have been “incentivized”, there could be an issue? Well only time will tell.